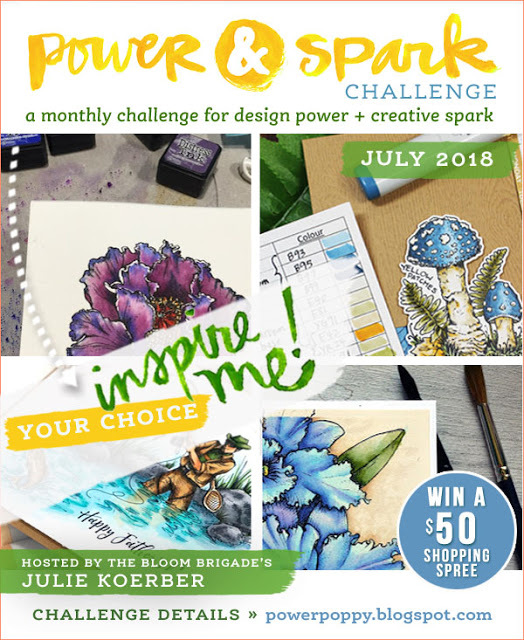 Today I'm sharing one last card for Power Poppy's "Inspire Me" challenge this month. I didn't get to all the fun inspiration posts I had bookmarked, but there's always later! This one uses an image from Bees in Foxglove digital stamp set, a sentiment from Peonies, and a fun "twisty tutorial" from Julie. Oh my that is just beautiful, love your design on the card and how you highlighted the panel by coloring only it! That image is such a cutie! Great technique!